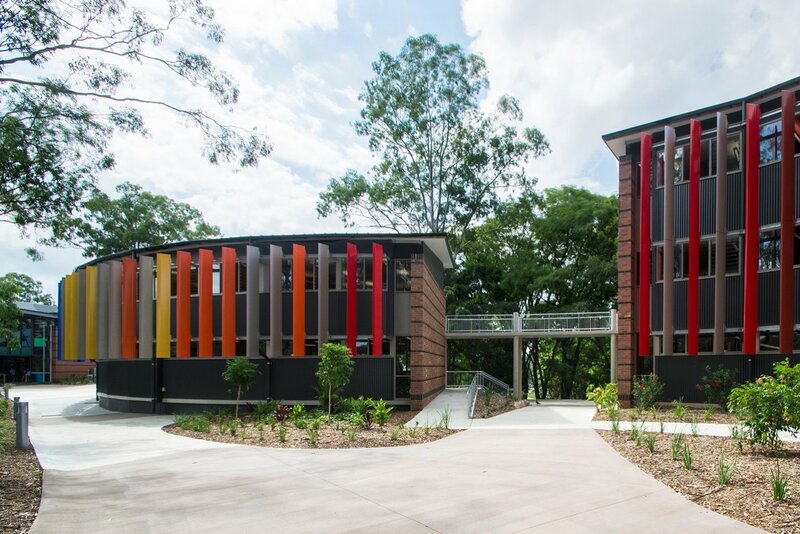 Ambrose Treacy College is situated on a stunning 40-hectare campus overlooking the Brisbane River in the suburb of Indooroopilly. 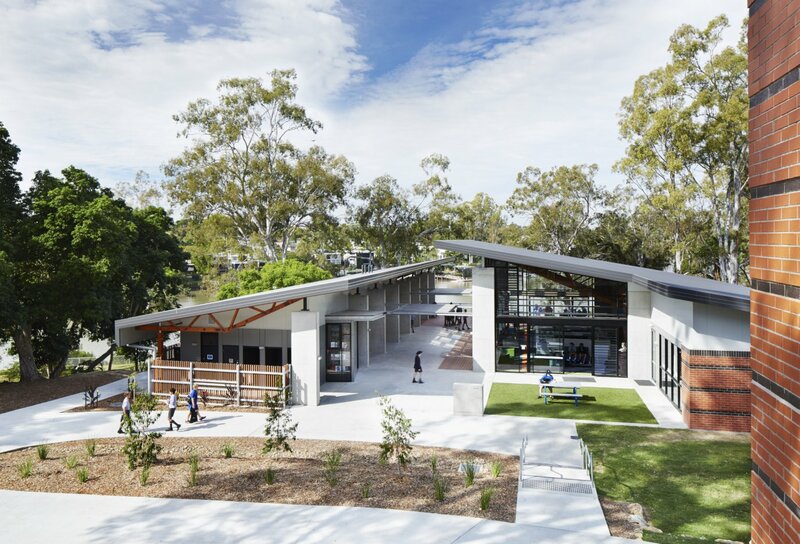 Our beautiful site currently comprises modern classrooms, well-maintained sporting fields, tennis and basketball courts, an all-weather swimming pool and a large assembly hall spread out over landscaped gardens, trees and open fields. 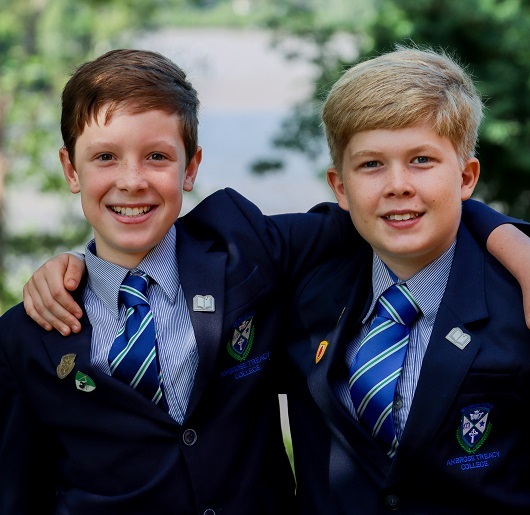 During 2014 the original Boarding facilities in the Edmund Rice building were renovated into modern classrooms for our middle School students. This first stage provided seven new classrooms, a new learning enrichment area, a new art room, a STEM (Science, Technology, Engineering & Maths) laboratory and a design technology space, as well as a new administration centre with a new reception and offices. 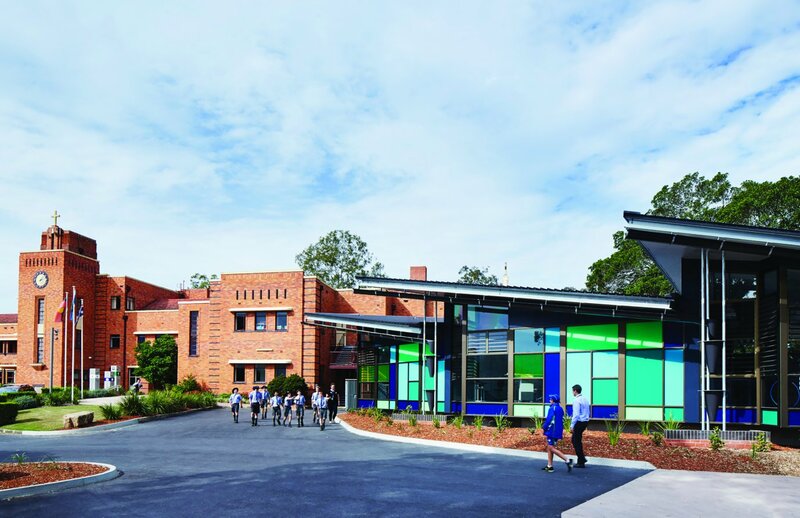 This $4-million renovation project also included the refurbishment of the uniform shop and tuckshop. The second stage of the Master Building Plan commenced in May 2015 at a cost of $12 million. This stage of construction provided new facilities for the Middle School which was officially opened in 2016. It includes additional Year 9 and 10 classrooms, four STEM laboratories, two design technology workspaces, a drama facility, two modern music learning spaces, a canteen, catering teaching room, and an additional library. This project has provided us with state-of-the-art facilities for our Middle School students. 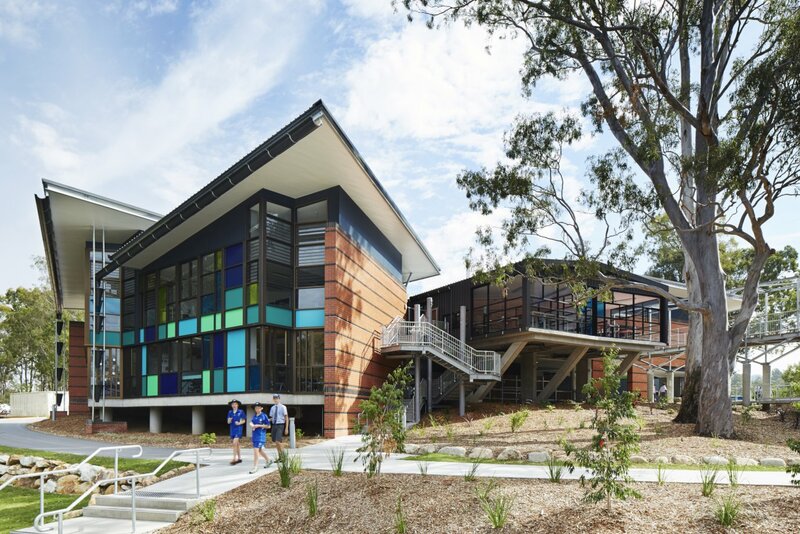 Stage Three, officially opened in 2018, has provided more classrooms and specialised teaching and learning areas for Year 11 and 12 students. This project involved the construction of three new buildings– Tipperary, Waterford and the first phase of Xavier, and a new covered sport and PE hall. 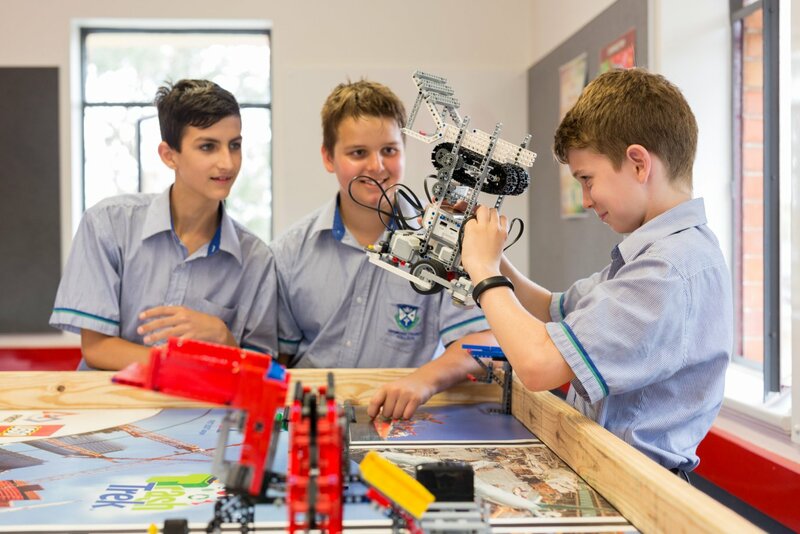 The facilities for our Year 11 and 12 students include general classrooms and specialist facilities for hospitality, drama, HPE, digital technology and design technology. 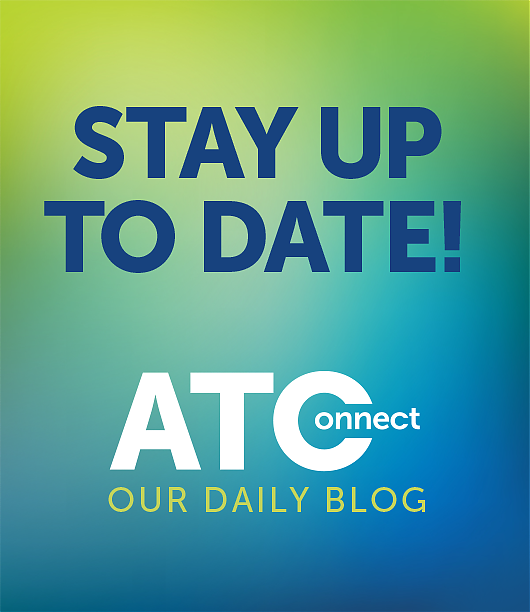 Please follow the link below to download a site map of the College.